After arriving at Melbourne, Thomas made his way to Ballarat where he married Bridget Buckley (pictured on the left) by licence in the local Church of England on 18 March 1856. Their wedding certificate shows that he was a bachelor innkeeper aged 28 years and she was a 21 year-old spinster who worked as a servant. Bridget came from Michelstown in County Cork in Ireland. Her father was a farmer called Daniel Buckley and her mother was Bridget Mahony. The Church Baptism Records maintained by the Mallow Heritage Centre in County Cork in Ireland show that a Bridget 'Buckly', the daughter of Daniel Buckly and Catherine Mahony, was baptised in the Newmarket parish of County Cork on 21 May 1837. This may be our Bridget although maybe not. We are likewise uncertain about exactly when and on which ship Bridget emigrated to Australia. Her death certificate, informed by her son-in-law Hugh Smith, indicates she came to Australia in around 1854. Her granddaughter, Winnie Stafford, believed she was employed by a Byrnes family to look after their children during the voyage from Ireland to Australia and that she parted from the family on arrival at Port Philip. The Victorian immigration records show that a Patrick and Jane Byrnes and their two children Mary Jane (aged 1) and Sarah (4), together with a Bridget Byrnes (aged 25) emigrated to Australia on the BRITISH QUEEN and arrived in Victoria in May 1853. If this was our Bridget she would have been 26 and not 21 at the time of her marriage to Thomas. The lists of passengers coming to Victoria show that another Bridget Buckley, aged 19 years, sailed on her own from England to Australia on the AUSTRALIA arriving at Melbourne on 20 September 1853. Although there were Byrnes on the ship, they were all young adults. Nor are we certain about when and how Thomas arrived in the colony. His death certificate, informed by his son Thomas John, indicates that he came to Australia in around 1852. The lists of assisted and unassisted passengers arriving in Victoria around this time offer no possible candidates. Teen thinks that he may have been a sailor on the ship that Bridget sailed on and so met her on the journey out. There are no Kersleys on the shipping lists for either the BRITISH QUEEN or the AUSTRALIA although it is not altogether clear whether these lists normally include crew members. 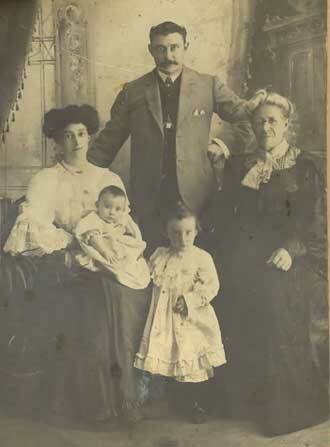 Thomas and Bridget (pictured together on the right) had eleven children who were born in a number of different places in the area between Bendigo and St. Arnaud in Victoria: William Henry (born in Dunolly in 1857), Emily (Back Creek, 1859), Mary Jane (Inglewood, 1861), Thomas John (Moonambel, 1863), Lucy Ann (St. Arnaud, 1865), Cornelius (Peters Diggings, 1868), Alice (Peters Diggings, 1869), Henry and James (Stuart Mill, 1872), and Ellen (Stuart Mill, 1876). The birthplaces of the older children in particular coincided with the onset of gold rushes in the different areas and suggests that Thomas and Bridget and their family may have joined the throngs of people who constantly moved from one digging to the next. 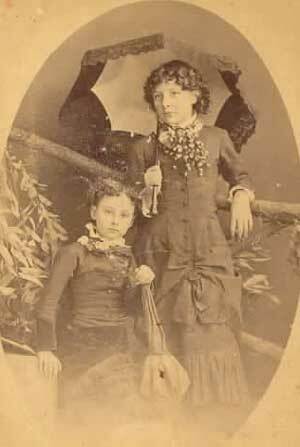 By the early 1880s, they had either made sufficient to live on or Bridget had had enough. The couple took up residence in St Arnaud where they remained for the rest of their lives. Thomas, described on his death certificate as a miner, died at St Arnaud of acute bronchitis on 13 August 1896. He was aged 69 years and was, according to the St. Arnaud Times 'one of the oldest identities of the town'. Following a large funeral procession, he was buried at the local Roman Catholic cemetery on 16 August 1896. While we can't be certain, it seems that Thomas never met up with his younger brother, Robert Kersley in Australia. 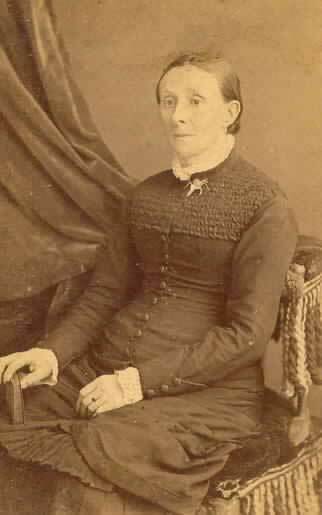 Thomas' wife Bridget Kersley nee Buckley died on 15 May 1903 in Balmain in Sydney, NSW while visiting her youngest daughter Ellen Smith. She had left St Arnaud in November the previous year but had fallen ill and could not return home. While she wanted to be laid to rest alongside Thomas in St Arnaud, she was buried at the Rookwood cemetery in Sydney. Her last will and testament shows that, at the time of her death, Bridget owned no property or substantial assets. Her estate was worth a mere �/8s/3d of which � had to be paid to Ellen in Sydney in order to cover Bridget's medical, undertaking and cemetery fees. William Henry was born at Dunolly and eventually went to work in the Western Australia goldfields. The Australian electoral rolls show him working at the Britannia Goldmine at Kookyne (in the Coolgardie District of Western Australia) between at least 1901 and 1906 (a second 1906 roll has him as a woodcutter and living at Davyhurst). No other Kersleys were on the rolls, indicating that he had not married. The Western Australian Online Index of BDMs shows that a William H. Kersley died in the Black Range registration district of the State in 1910. Born at Talbot (Back Creek) near St Arnaud in 1859, Emily married Samuel Claxton, the son of Edward Claxton, miner, and Mary McCarthy, at St Patrick's Roman Catholic Church in St Arnaud on 31 December 1883. Their wedding certificate states that Samuel had been born at Castlemaine in Victoria but, like Emily, was living and working at St Arnaud at the time of their marriage. The wedding was witnessed by Emily's sister Mary Jane Kersley and Mary Jane's future husband William Laurence. Emily and Samuel had a son, Thomas Edward Claxton, before Emily's premature death from enteric fever on 7 April 1886. This occurred at the Main Lead gold field near the town of Beaufort where she is buried (lot 37 in the Roman Catholic section of the cemetery). 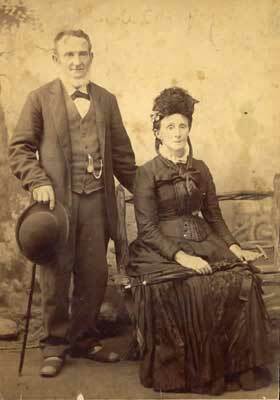 Samuel eventually returned to St Arnaud where he married Sarah Alice Murphy (1868-1947) in 1887. The electoral rolls show that he and Alice lived at St Arnaud after their marriage before moving to North Melbourne where, according to the St Arnaud Mercury, Samuel died in 1914. He and Alice had one son, Ernest Samuel Claxton (born at St Arnard in 1888) who married Rose McMahon (1890-1972) and worked as a bricklayer around the Frankston area of Melbourne before his death there in 1954. 1) Francis Ernest Claxton (1920-63), who worked as a boot maker, served in the Australian Army (14 Field Regiment) during the Second World War and married Alma May Hilton in Newtown in 1951. Although still to be confirmed, we think Alma's parents were John and Emma Hilton nee Nelson who were married in the Wagga Wagga district of NSW in 1913. After living in Newtown for a number of years, Francis and Alma moved to the Sydney suburb of Seven Hills where Francis died in 1963. He is buried in the Woronona Memorial Park Cemetery where his gravestone tells us that he and Alma had two daughters - Christine and Barbara - and a son, Donald Claxton. The NSW index of bdms shows that Alma died in 1976. 2) Mona Mary Claxton who was born in 1922 and worked as an office assistant and stenographer in the NSW Public Service. The 1972 electoral roll has her living at Dulwich Hill in Sydney. We have not been able to find her after that, suggesting she may have married sometime in the late 1970s. Victoria and died in Western Australia. The photo was taken in Melbourne most likely before William went to the West. 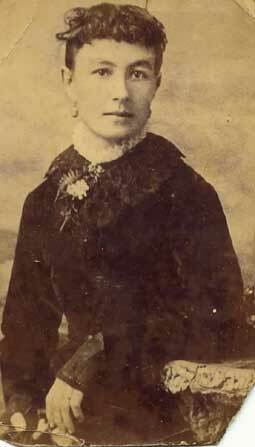 goldfields three years after her marriage to Samuel Claxton at St Arnaud in 1883.
taken at St Arnaud, is most likely of Alice's brother, Thomas John Kersley. Alice died at St Arnaud on 18 October 1888 from burns received from a fire that had been lit outside the house to heat water for the family's washing. She was just 19 years old. She is buried next to her father in the Roman Catholic section of the St Arnaud cemetery. Thomas, or 'Tom' as he was known - pictured above - was born at Moonambel in Victoria. He married Christina Howes (1864-1957) at St Arnaud on 20 August 1885. Christina was born at Carapook in Victoria, the daughter of John Howes, an engine driver originally from Ipswich in England, and Christina Stewart from Paisley in Scotland. 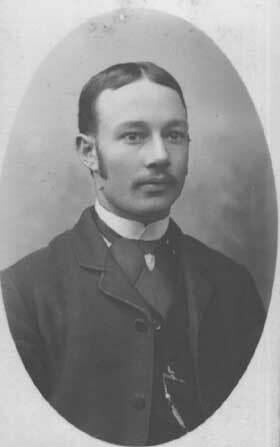 Tom, who later worked for the Victorian railways, was then working as a miner. The marriage was held in accordance with the rights of the Wesleyan Church and was witnessed by David and Ann Rodan. The Australian electoral rolls and the birth places of their children show that Tom and Christina lived in a number of Victorian country towns before eventually moving to 30 Epsom Road in Kensington, a suburb of Melbourne, where Tom died in 1932. Christina died at Kensington in 1957, aged 93 years. 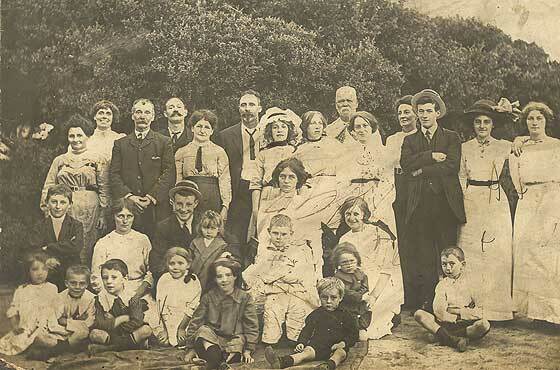 Tom and Christina had eleven children between 1887 and 1909: Christina Emily, Percy William, Thomas Ernest, Amy May, Myrtle Nellie, John Howes, Ida Olive, Leslie Gordon, Doris Mabel, Alan Frederick and Frank Keith Kersley. Click here to read more about Thomas and Christina's family and descendants. Bourke Street in Melbourne. The one on the right was in 'Monie's trunk' and is a blown up version of the same woman. about the woman who could be his future wife, Mary Jane Kersley, or possibly one of his sisters. Born at Inglewood in central Victoria, Mary Jane Kersley married William Joseph Laurence (1855-1929) in West Melbourne on 3 July 1884 in the local Roman Catholic Church. William was then 29 years old and Mary Jane was 24. 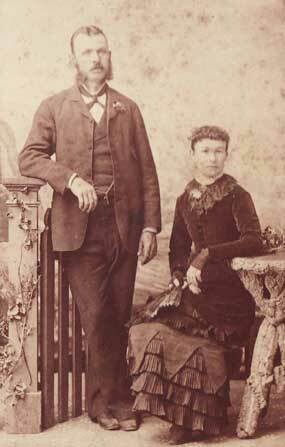 The best man was James Napoleon Burns (1857-1941), who married Mary Jane's sister Lucy Ann Kersley (1868-1951) the following year (click here to read about James and Lucy and their family). The bridesmaid was one Annie Clancy. Their wedding certificate indicates that Mary Jane had earlier moved from St Arnaud to West Melbourne where she was working as a domestic servant. William, a labourer whose 'usual address' was said to be Creswick, was also living in Melbourne at the time. 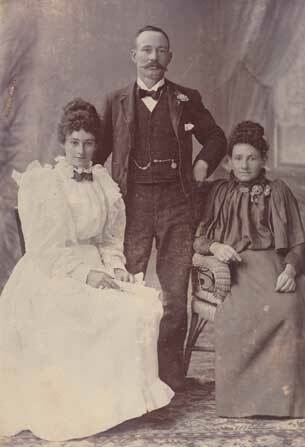 After their marriage, William and Mary Jane (pictured below with James Napoleon and Lucy Burns) moved first to the coastal town of Kiama in New South Wales, then inland to take up land at South Yalgogrin near Barallen, and finally onto a farm at Gillenbah just south of Narrandera. During this time they had ten children - Florence May (1884-1915), Mary Jane (1886-1913), Emily (1888), Alice Maud (1889-1967), Catherine (1891), William (1893), Bridget Ellen (1895-1934), Lucy (1898), Alexander (1900) and Robert Thomas (1906) - many of whom, by all accounts, inherited the loquaciousness of their father and stocicism of their mother (some were also devout Catholics). Mary Jane Laurence nee Kersley died at Narrandera on 24 January 1919. William Joseph Laurence died in Sydney ten years later and was buried next to his wife at Narrandera on 18 June 1929. Click here to read more about the life and times and family and descendants of William and Mary Jane. Mary Jane Laurence nee Kersley, James Napoleon Burns and Lucy Ann Burns nee Kersley. Cornelius Kersley was born at Peter's Diggings near Ballarat. As a young adult he moved to Melbourne where he worked as a blacksmith. Cornelius, or 'Con' as he was known as, married Wilhelmina Alice Burrows nee Campion (1871-1937) at the St Mary's Roman Catholic Church in West Melbourne on 15 July 1909. The marriage certificate, provided by their great granddaughter Barbara Moore, shows that he was then 41 years old. 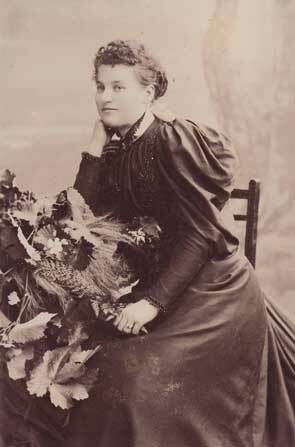 Wilhelmina was 38 years old, had been born in Melbourne and was widowed in 1901. Her parents were said to be Frederick Campion and Harriet Ambrosine Isabella Tucker. Cornelius and Wilhelmina were both living at Blackwood Street in North Melbourne and the wedding was witnessed by Anastasia McSweeney and Josephine Tunn (?). Barbara tells us that Wilhelmina (pictured on the right) had earlier married Arthur Fiennes Burrows, from Bath in Somerset, in Melbourne in 1889 and had four children: Frederick Thomas (1888-1964), Sylvia Daisy (1891-1965), Amy and William Burrows (who died in childbirth). Arthur died in Footscray in 1901 although Barbara has not been able to find his death certificate. Wilhelmina's son, Frederick Thomas Burrows, enlisted in the First AIF on 1 October 1915. He was then 18 years old and worked as a presser. He proceeded overseas on 7 March 1916 and served with the 24th Battalion in Belgium and France. His personal records show that while not wounded he suffered from regular bouts of sickness which, on occasions, landed him in hospital in France and England. While in England he was also charged on two occasions for overstaying his leave. Frederick survived the war and returned to Australia on the Ulysses in January 1919. He died at Chadstone in Melbourne in 1964. The electoral rolls showed that after their marriage Cornelius and Wilhelmina lived first at North Melbourne and then the nearby suburb of Kensington. They had three children: John('Jack') Kersley (1904-53), Roy Kersley (1905-88) and Henry Kersley (1905-1935). 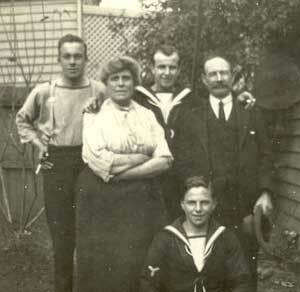 The family is pictured on the left. Barbara Moore tells us that her grandfather Jack Kersley served in the RAAF flying boat squadron during the Second World War. He married Olive Constance Devlin (1905-91) in 1926 and had three boys: John Ronald, Sydney and Raymond Frederick Kersley who are all now deceased. John junior drowned at age 12, Sydney died of cancer in 1963, aged 33 years, and Raymond died of a heart attack around 1980. Jack Kersley died in Sydney in 1963. His wife Olive died there in 1991. Barbara thinks that she and her brother Raymond, who are the only children of Sydney Kersley, are the last of this line of the Kersley family. Barbara continues that Jack Kersley's younger brother, Roy, who worked as a seaman, married Tatura-born Doreen May Thompson (1912-88) in 1946 and had two children. Barbara has recently been in contact with some of Roy and Doreen's descendants who had in their possession 'Con's trunk' which had belonged to their grandfather and contains a treasure trove of family photos and other memorabilia. The youngest of Con and Minnie's boys, Henry Kersley, married Doris Carlyle Wildman-McCallum (1912-2001) in 1930. Henry and Doris had two children. The Australian electoral roll for 1931 shows a 'Harry Kersley', a chemist, registered at his parents' address at Kensington. It also has a Henry Kersley registered at 156 Park St Parkville. We think that Henry died in 1935 although this is still to be confirmed. The 1936 electoral rolls show Doris living in Coburg. At the time of the next three elections she was on Tinning Street in Brunswick West (her daughter Carlyle Edith Kersley, a receptionist, was also registered there in 1954). For more details of Cornelius and Wilhelmina and the Kersley and Burrows families, check out Barbara Moore's Pioneering Families of Australia website. 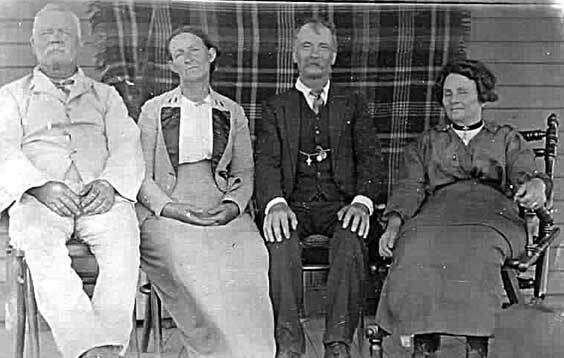 William Joseph Laurence, unknown, Mary Jane Laurence nee Kersley, Albert James Burns, Ellen Maud Burns and unknown. Amy or Sylvie Burrows and unknown. Seated: all unknown. 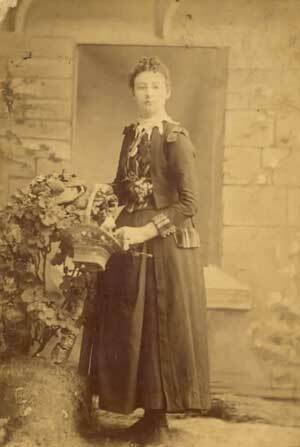 Thomas and Bridget's youngest daughter, Ellen Louise Kersley (pictured below) was born at Stuart Mill in Victoria on 21 January 1876. She spent her early years in St Arnaud with her family but eventually moved to New South Wales where she married a Rozelle grocer, Hugh Smith (1872-1937), at St Mary's Cathedral in Sydney on 4 November 1902. One of their granddaughters, Maureen Sharpe, tells us that, like his mother-in-law, Hugh was of Irish descent. 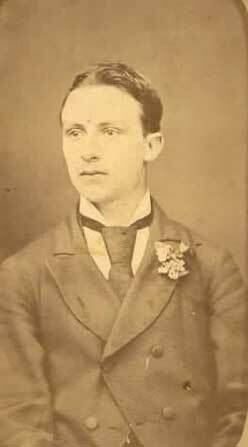 His father was Cornelius Sheridan Smith (1843-1912) and his mother Bridget O'Neill (1844-76). She adds that Cornelius was born at Lislea in Cavan County in Ireland and married Bridget, who came from Tipperary in Ireland, in Sydney in 1868. He was the landlord of the Merton Estate Hotel at Rozelle (from 1877 to 1912), the Beach Hotel on Smith Street Balmain, and the Cricketer's Arms Hotel on Darling Street in Balmain. After their marriage in 1902 Ellen and Hugh Smith lived initially at Rozelle in Sydney before moving to Gladesville and then to Balmain (the 1930 electoral roll shows them at 255 Darling Street in Balmain East and Hugh working as a hotelkeeper). They had six children: Gladys Louise (1904-1971), Myrtle Mary (1905-1983), Kathleen Maud (1907-1970), Cornelius Sheridan (1908-1983), Josephine Mary (1911-1999) and John Roy Smith (1916-1974). 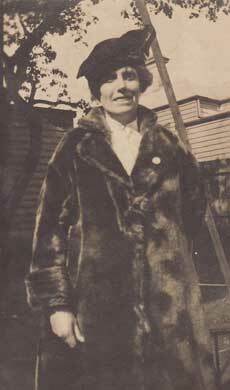 Ellen died at Balmain on 16 July 1931 and was buried at North Ryde cemetery two days later. Hugh died at Rozelle in 1937. And their children? Ancestry's index of Australian bdms shows that Gladys Louise Smith married Joseph Hannington Roy Robson (1899-1966), the son of Joseph Hannington Robson and Wilhelmina Minnie Lohmann, at Balmain in 1929. According to the 'Mongomery Family Tree' on Ancestry.com, Joseph snr was born at Massilon in Ohio in the US. 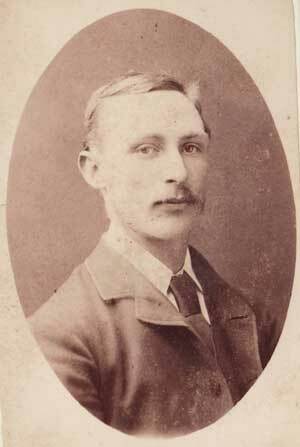 He married Balmain-born Wilhelmina Lohmann at Balmain in 1896 and had eight children in addition to Joseph jnr. The Australian electoral rolls show that Gladys and Joseph, who worked as an engineer, lived at 15 Newcastle Street in Drummoyne from 1933 until at least 1954. Maureen Sharpe tells us that they had two children - Roy and Hugh Robson - and that Joseph died at Burwood in 1966 and Gladys at Woy Woy in central NSW in 1971. Myrtle Mary Smith married Charles Joseph Yates (1898-1969) at Rozelle in Sydney in 1941 and had one daughter, Maureen Yates (now Sharpe). 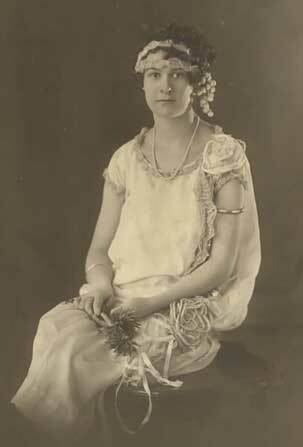 Her sister Kathleen Maud Smith married Joseph Albert Stewart (1906-75) at Balmain in Sydney in 1930 and had four children: Ellen, Joseph, John and Noelene Stewart. Cornelius married Eileen O'Keefe and had two children, Neil and Bruce Smith. Josephine married Ernest John Sargent (1907-79) in 1936 and had two children, Gwendoline and Warwick Sargent. And John married Grace Sylvia Hall in 1942 and had at least one child, Jayne Sheridan Smith. Taken at the studio of F.J. Stubbs of St Arnaud, the photo on the left is of Ellen Louise Kersley. The one on the right shows Ellen with her older siblings Cornelius and Lucy Kersley. and Hugh's aunt Elizabeth Halloran. The one on the right is of their third daughter, Kathleen Maud Smith.